Yalu Jailbreak was released by Luca Todesco ( twitter ) . It cannot be installed directly; a useful tool called Cydia Impactor must be used to sideload Yalu jailbreak, and it is worth keeping in mind that it is semi-untethered, which we’ll talk more about later. Yalu jailbreak, despite being semi-untethered, is a full jailbreak and comes complete with Cydia and with Cydia Substrate; if your device is compatible, you can easily use Yalu for downloading your favorite Cydia tweaks without having to do anything else. Yalu jailbreak has not been updated to support any version of iOS 10 after iOS 10.2 as Apple already patched the relevant exploits. 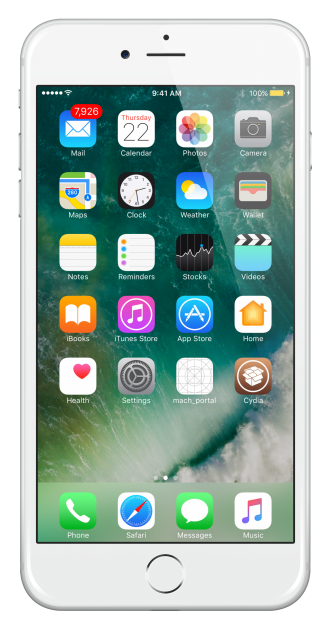 Note: ( Updated 3rd April 2019 ) There are better jailbreak options available to download and install Cydia on iOS 10.2 and above firmware. You can read more about it on this linked post. You must backup your data up before you attempt to install Yalu jailbreak and you must ensure that you have enough charge on your battery. 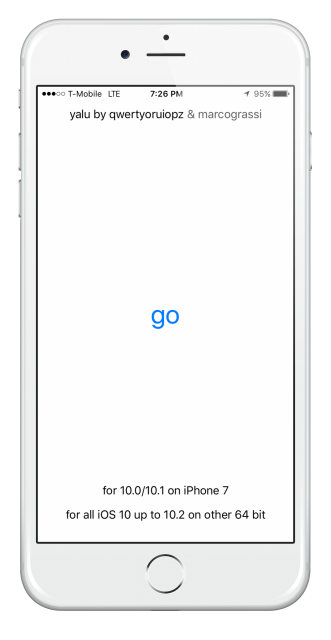 How Does Yalu Jailbreak Works? It is, as mentioned, semi-untethered, which means that you will need to reactivate the jailbreak whenever your device is rebooted. When your device restarts, the kernel will no longer be patched, and none of your tweaks will work; when you attempt to use Cydia, it will crash. Reactivating is simple, and instructions to do so can be found in our download guide below. Yalu jailbreak requires the use of Cydia Impactor to install it onto your device; this is easy enough to do and requires your Apple ID to work. Download Yalu Jailbreak Version yalu102_beta7. 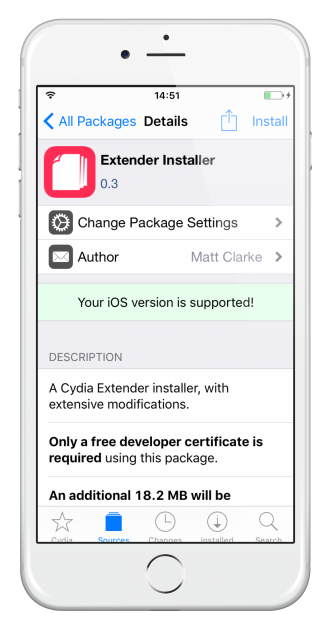 It is worth bearing in mind that, because you have to use your Apple ID for Cydia Impactor to sign and install Yalu, the app certificate will expire after 7 days if you use a free ID, 12 months for a paid developer ID. This will mean that Yalu jailbreak will need to be reinstalled when it expires. When your device reboots, you should now see a Cydia icon on your home screen; if not, go back to Step 12 and repeat from there. 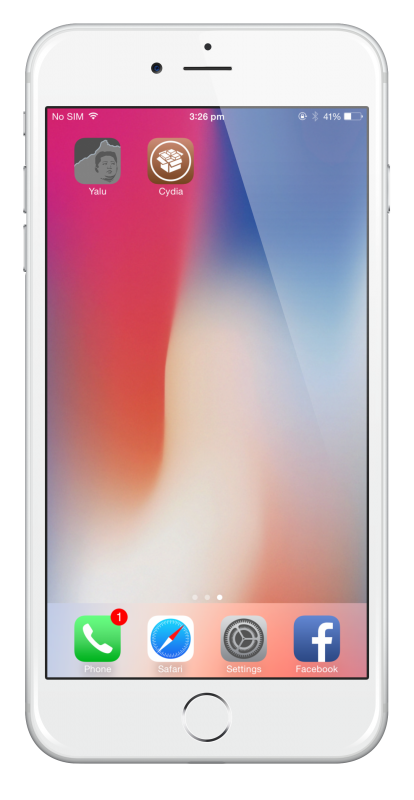 Once the Cydia icon appears on your home screen, the jailbreak has been successful; tap on the icon to open and set up Cydia for first use, and then you can download your favorite apps and tweaks. Tap the Cydia icon, and Yalu jailbreak will be working again. It’s as simple as that; you can now begin to download your tweaks and apps once more but don’t forget to install Cydia Eraser first; this useful package allows you to remove your jailbreak without restoring your device to a different iOS version. If you are not signed in, tap on Sign and use your Apple credentials to sign in – you can set up a second dummy Apple ID for this rather than using your regular account (recommended). That’s it; now, when the Yalu certificate expires after 7 days, it will be resigned automatically by Extender Installer. You can do this for all apps that you use Cydia Impactor to sideload to your device and when the resigning is done, you will be notified. Yalu jailbreak provided a lifeline for many users and, for those still on the relevant iOS versions, it can still be used today. For the latest Cydia and Yalu jailbreak updates, follow us on Facebook. Hello , i would like to think you about iOS 10 jb, and ask you a question : Haw about iPhone SE on iOS 10 compatibility? Think’s. hello what is your iOS version ?